Desiree Rumbaugh is an internationally recognized yoga teacher with unquenchable enthusiasm for life, love and healing. She blends playful humor with an authentic inquiry into the nature of being to help her students discover their own power, courage and beauty. Her passion for teaching both the art and the science of yoga is fueled in part by her own experience recovering from deep grief as a bereaved parent. For Desiree, yoga has been a life-saver emotionally as well as physically. With longtime studies in Iyengar and Anusara yoga, she brings 25 years of experience, experimentation and creativity to her ever-evolving, outside-of-the-box style of teaching. Desiree travels the world full-time sharing her compassion and her joy with others interested in the transformational power of yoga. She has produced a DVD series entitled “Yoga to the Rescue” and is a regular contributor to Yoga Journal, having also appeared on its cover. 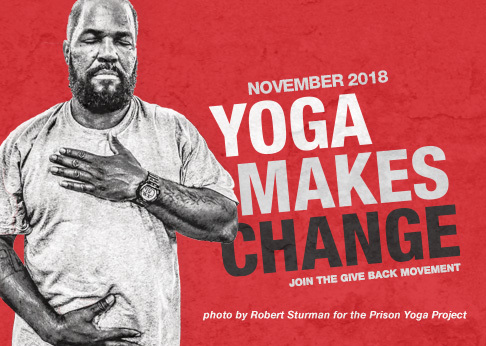 Desiree supports the Art of Yoga Project serving teenage girls in the juvenile justice system. She lives with her husband in southern California.